Smokin' hot off the presses, like fresh smoke drifting off the barrels of Gringo Bandito's two just-fired revolvers, comes the first announcement to the public of the availability of new Gringo Bandito Hot Sauce, formulated by the legendary Gringo Bandito himself, better known as Dexter Holland, the singer for punk group The Offspring and founder of Nitro Records. Dexter, a longtime Orange County resident, set out a couple years ago to concoct the quintessential hot sauce and has finally arrived at the perfect combination with a mixture of habañero peppers, jalapeño peppers, red japanese chili peppers, and a secret blend of eleven herbs and spices. Or maybe seven herbs and spices. Who's counting? Having not had any homemade Mexican food around since receiving my sample jars I have only been able to try it on some KFC food and have to admit it was very friendly to my taste buds. Gringo Bandito Hot Sauce is only available online at the moment but while you're ordering be sure to pick up some Gringo Bandito t-shirts, stickers, buttons, and frisbees. The site also has plenty of recipes (someone sure knew how to use style sheets to make the recipes very printer-friendly), photos, testimonials, and more. I wouldn't be surprised if I end up seeing a jar of Gringo Bandito on a table in a Mexican restaurant someday. IMPORTANT NOTE: We have covered literally every Mexican place there is at Disneyland (including Tortilla Jo's Taqueria and some you don't know about). You can find all that coverage at once by CLICKING HERE. Many people do not find the information they are looking for simply because they do not click that link. Don't be one of those people. Back in early 2000 I had just graduated from college in Hawaii (it's a hard life, I know) and made a trip to Disneyland. In the lobby of the theater where you can see the audioanimatronic Abraham Lincoln deliver the Gettysburg Address were concept art paintings of a coming nightlife district being built adjacent to Disneyland to be called "Downtown Disney." The paintings made it look like the Sunset Strip, or the Vegas Strip (pick your "Strip"), and the only detail I specifically remember was a Hard Rock Cafe. Well, by the time Downtown Disney opened in January 2001 the Hard Rock Cafe had become the House of Blues and just across the walkway from it was a two-story dance club called Arriba! Arriba! I'm guessing the public couldn't quite get used to the idea of a hipster night club operating at Disneyland but for one reason or another Arriba! Arriba! 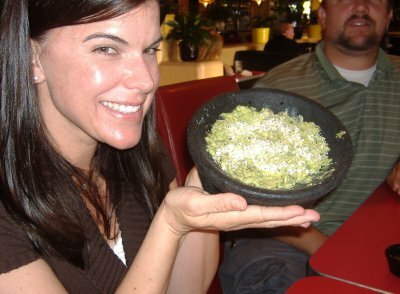 eventually went out of business and from its ashes arose a Mexican-themed restaurant: Tortilla Jo's. It's not as "Disney-fied" as you might think, though. It's certainly less Disney-oriented than the Mexican restaurant in Disneyland proper (review coming sometime in the not too distant future) and the one in Disney's California Adventure. All three Mexican restaurants found in the Disneyland resort are completely separate from each other with their own very distinct identities. 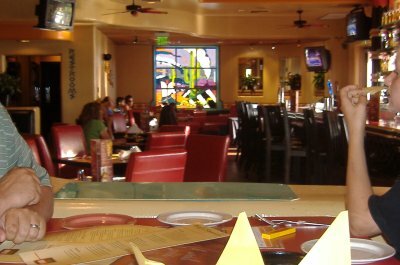 In fact, Tortilla Jo's is run by the Patina Group which also runs the high end Mediterranean restaurant Catal and Naples Ristorante e Pizzeria, both also at Downtown Disney, all of which are headed by celebrity chef Joachim Splichal. Service was excellent and personalized each time I went. On the second visit my friend was late meeting up with me and one of the waitresses let me use her cell phone to call him (yeah, I'm part of the dying breed of the cell phone-challenged). 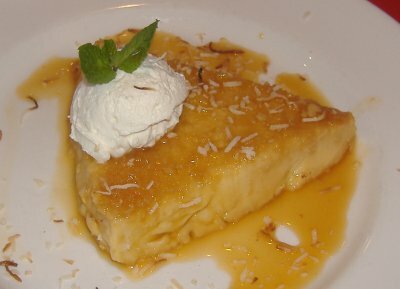 On the second visit I ordered the Pastel de Tres Leches, which the waitress on the first visit kept trying to get me to order. When I finally tasted it, I knew why she had been recommending it. This is a baked sponge cake soaking in three types of milk and topped with caramel frosting. It is so rich that it can easily be shared by two people. 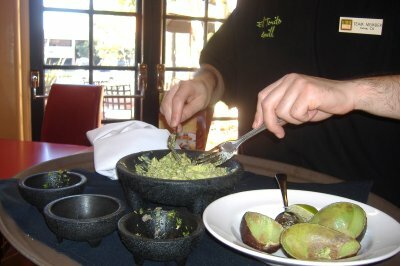 For those who like to experiment with making their own food, Tortilla Jo's also offers cooking classes held every quarter. And their chef, Joachim Splichal, is a featured chef in the Hollywood Cookbook, although I'm not sure whether or not any of his recipes in it are for Mexican food. Four Speedy Gonzaleses Panchitos go to the first person who can identify what Disney movie Panchito is from, but five Panchitos go to the first person who can give his full name. UPDATE: Four Panchitos go to Nick who correctly pointed out in the comments that Panchito is a character from the old Disney movie The Three Caballeros . However, we are still waiting to see if somebody can give Panchito's full name. "Panchito Pistoles" is a nickname. His full proper name begins with "Panchito," has five middle names, and then the last name. If they can help bring about conditions that will allow me to afford a house in the county I grew up in on my salary that would've been sufficient for home ownership if housing prices hadn't started skyrocketing six or seven years ago then they'll earn an unprecedented six Speedy Gonzales rating. Another blog that recently linked to this blog is goood morrrrningggg ichiiiigooo!, but I'm not entirely sure what its focus is. And here's the pipeline for upcoming reviews: a review of another Mexican restaurant at the Disneyland Resort, a guest review of a Mexican restaurant in Orange, then a review of a Mexican restaurant in Huntington Beach, then even more reviews. There will also be a report soon on a new hot sauce coming out from a famous local musician (think gringo punk guy who uses Spanish in his songs and album titles from time to time and you might guess who it is). In short, I really have my work cut out for me. 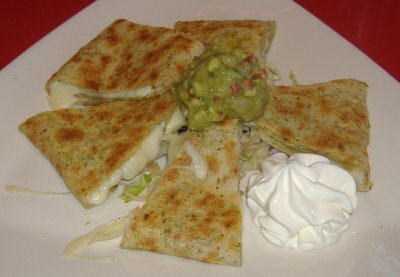 Non-Mexican restaurants I've been to since the last roundup include, but are not limited to: Old Spaghetti Factory, Ashoka Cuisine of India, Kabuki, 50 Forks (twice - see updated entry), Funashin (twice), Romano's Macaroni Grill, and Crab Cooker. Mexican restaurants I've already reviewed (and may still review again) that I've visited since the last roundup entry include Javier's, Taleo, Azteca's, Taco Rosa (see updated "Guided Tour" entry), and Gabbi's. To further confuse the matter, this location doesn't appear to show up in the Yahoo! 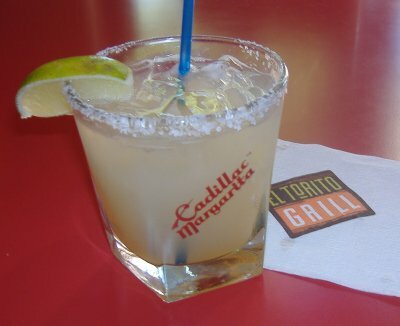 Local or Citysearch listings and appears incorrectly in the Google Maps listings as "El Torito Mexican Grill." So, just to clarify matters: El Torito is on Macarthur (across the street from John Wayne Airport), while El Torito Grill is on Main St.
At El Torito Grill, rather than getting the standard chips and salsa you get some freshly made tortillas with honey butter to spread on them and a mild salsa and a spicier salsa. 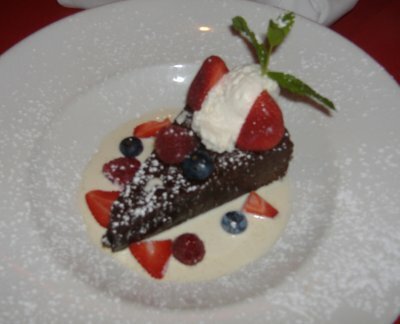 It is easy to eat four or five of these before your entree comes. You can order the same item with barbecue chicken in place of the carne asada. The tortilla soup, according to their menu, is made of "Tender chicken and vegetables in a savory broth with crispy tortilla strips and jack cheese." When it says "vegetables" I think it really means "zucchini" because there was a lot of zucchini in it. One of the things I like about El Torito Grill is that their specials menu changes more often than the specials menu at the regular El Torito does. I was told by a waiter at El Torito Grill that it changes roughly every two to three weeks. 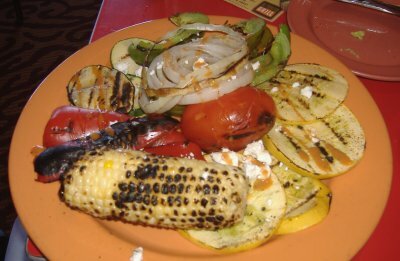 On the first of my three visits for this review I ordered the Mesquite-grilled fresh halibut with "mixed vegetables, tomato-jalapeño salsa and orange-cucumber relish." My friend Chris is a carnitas junkie so he of course ordered their Carnitas Yucatan, "Roasted marinated pork topped with red onions marinated with habañero chiles and lime juice. Served with red and black beans, rice, avocado relish and sweet corn cake." 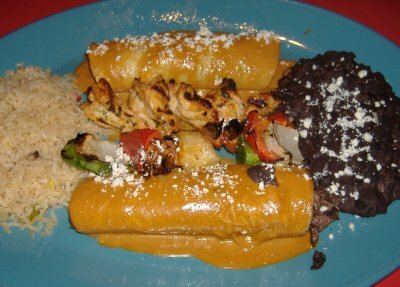 A popular entree item at El Torito Grill is the Santa Fe Torte, "Chicken, cheese, and chiles in corn crepes with jalapeño butter and red chile sauces. Served with red and black beans, pineapple-mango salsa, sweet corn cake and crispy plantains." When I went by myself on the first visit for this review I ordered a dessert from their specials menu called the "Fresh Fruit Indulgence." The official description of this dessert is: "Fresh berries and mangos tossed in Grand Marnier, creamy custard, fresh cream and a peanut tostada crisp. Served with chocolate and cajeta sauces." I was told by one of the servers that this dessert item was so popular that it will be added to their regular menu soon but I can't say whether it will be flat on a plate or cone-shaped in a glass when you order it.